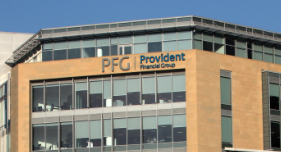 The forecast was included in a trading update for the financial year ended December 31, 2018, ahead of Provident Financial’s full-year results on February 27, 2019. Provident Financial has been trying to rebuild after a botched revamp of its home credit business led to profit warnings, the departure of its CEO and the suspension of its dividend in 2017. It has also been under investigation by the UK’s financial watchdog. Provident Financial CEO Malcolm Le May said: “We have been progressively tightening our underwriting standards throughout the group in anticipation of the current uncertain UK economic environment we are facing. “We will continue to monitor underwriting standards in light of any changes in customer behaviour.